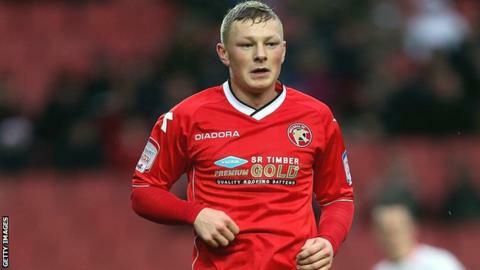 Walsall midfielder Sam Mantom has signed a new two-and-a-half year deal, tying him to the League One club until the summer of 2016. The 21-year-old came through the youth ranks at West Brom, before joining Walsall on a permanent basis in January following two successful loan spells. Manager Dean Smith told the club website: "I am really pleased that Sam has committed his future to us. "Since he first arrived here, he's been a permanent fixture in the team."